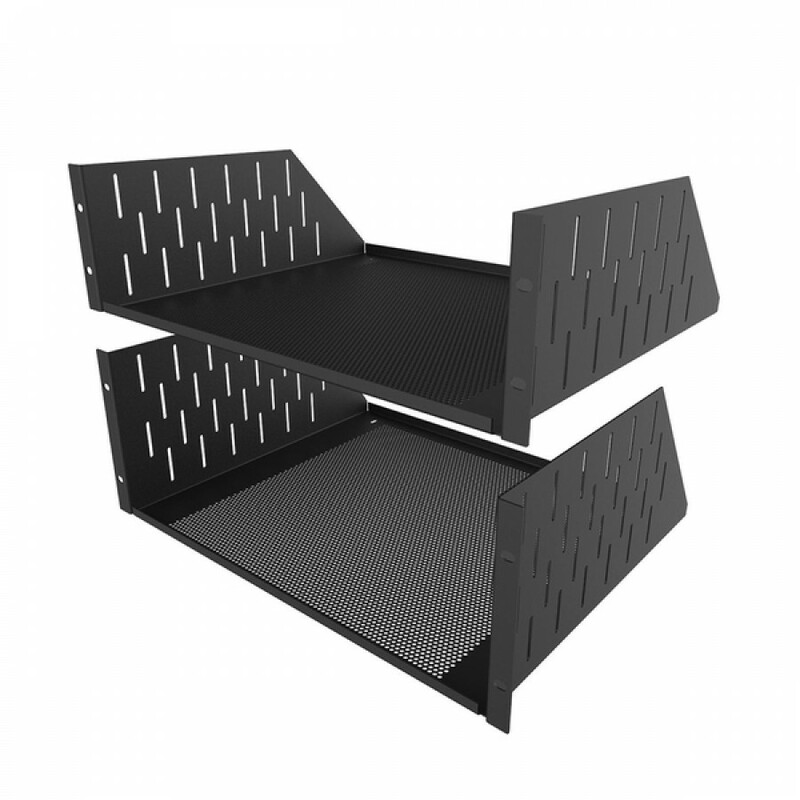 3U and 4U Vented Rack Shelf. Perforation allows 61% free Air. 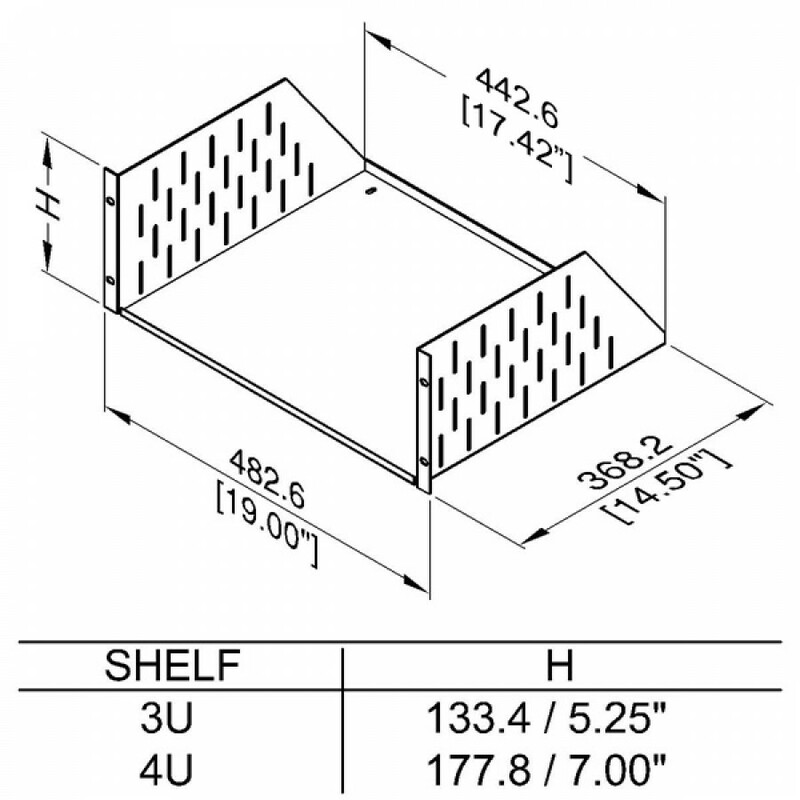 Shelf slotted for use with R1288/CB Clamp Bar.